Bill's Book Reviews and News: Jack Andraka: "Breakthrough: How One Teen Innovator Is Changing the World"
Jack Andraka: "Breakthrough: How One Teen Innovator Is Changing the World"
Publication: Harper, ISBN 978-0-06-236965-9; Introduction and nine chapters with numerous appendices, 240 pages, hardcover. Many black and white photos. In early 2014, CBS 60 Minutes (my TV blog, Nov, 6, 2013) reported on Jack Andraka’s medical innovation, of a simple laboratory test for proteins indicative of early stages of pancreatic cancer. It is possible to imagine that similar tests could be developed for other tumors. The test involves mixing antibodies to a particular protein with carbon nanontubes, introducing the patient’s blood drop (or other fluid) that might have the protein in question, and look for change in electrical conductivity. He says the idea came to him in biology class by putting two ideas together. (Typical explanation by Smithsonian, here.) In theory, the idea could work to detect a lot of things. Maybe it could be engineered for quick identification of certain bacterial infections and prevent overuse of antibiotics. Andraka won first place and the Gordon E. Moore Award at the ITEK science fair competition in Pittsburgh. His competition included a possible early test for Alzheimer’s, and a new way to search the “Deep Web”. He discusses a lot of other ideas from teen and college age scientists, which could even involve quantum computing and major cyber security innovations. At one point, he mentions telekinesis (maybe eventually teleportation, “Smallville” style). I could chuckle, except that I think I have seen this happen once. Jack also discusses the Raman spectrometer, and imagines how it could lead to “Fantastic Voyage” style healing of disease with nanorobots, rather a premise for the TV series “Jake 2.0”. In fact, on a couple of occasions, authorities questioned the brothers about the scope of their science experiments at home, and once (for Luke) at school. The other main part of the book, of course, is Jack’s personal narrative, about his coming out as gay in middle school, around seventh or eighth grade. I was shocked at the level of harassment that was still permitted in this “blue state” school as late as 2000. Even Luke had a hard time dealing with it at first. It’s interesting to compare to my experience in the 1950s. It just wasn’t possible in those days to “announce it”; but I was teased for being behind other boys physically. My experience got much better in senior school (tenth grade then). But then I was thrown out of William and Mary in the fall of 1961 after effectively being force-outed, and then “admitting latent homosexuality” to the Dean. As far as physical non-competitiveness, that was a stereotyped association with homosexuality in m in past decades. Andraka relates having become an accomplished kayaker and swimmer. (No, he doesn't need the concussions of football, anymore than Malcolm Gladwell.) I once tried kayaking unsuccessfully, at a company party in 1997 (shortly after my first book was out), rather unsuccessfully, as related on my main blog Oct. 9, 2007. That narrative generates the course of my own “Do Ask Do Tell” books. Jack’s level of detail is comparable to mine in the first chapter of my first DADT book (1997), on Amazon. My narrative tends to be a little more abstract. I also had science projects in high school, but much less ambitious. In tenth grade, I made a wooden diagram of human anatomy. In my senior year, when I was “inducted” into the Science Honor Society in my own basement (Dec. 9,, 1960) I had a project replacing carbon with silicon in certain compounds, with the idea that silicon could somehow support Martian life. Another speaker proposed a medical research project that in retrospect predicted the HIV research that would occur 25 years later. That particular speaker's project reminds me that science fair projects can indeed predict innovations that will occur (or become necessary) in the coming years, sometimes far out in the future. The book has an Appendix, “The School of Jack” (that sounds like the title of a future Jorge Ameer film doesn’t it, like “The House of Adam”), in which he gives “recipes” for home science experiments, like how to make rain clouds. He also provides advice on anti-gay bullying, particularly online, and is rather blunt about the possibility of having to hibernate or delete social media accounts (especially Twitter) which seem unable to prevent bullying. Notice in the THINKR video he rises when the word “medical” is said. He explains that in the book. Jack is still a senior in high school, and one wonders how he can get all his homework done ("senioritis"). He is set to enter Stanford in the fall of 2015. (A good chance to meet Mark Zuckerberg.) He travels constantly, and even indicated in a tweet that a hotel gave him a "free fish" to take care of in a bowl in the room. See also the "Andraka" label on my "Major Issues" blog (Jan. 28. Feb. 27, 2015). Nick Bryant throws some cold water on Jack's work in an Australian paper March 29, 2015 here (Andraka visited Australia in August before starting at Stanford). Jack is on tour around the country now, visiting schools. How does someone keep up with schoolwork while traveling? He even got an "it's free" goldfish to feed in a hotel room (in Houston, I think). NBC News reports on a liquid biopsy test to detect return of cancer after chemotherapy, for certain tumors, link here. I don't know if it is similar in principle to Jack's test. 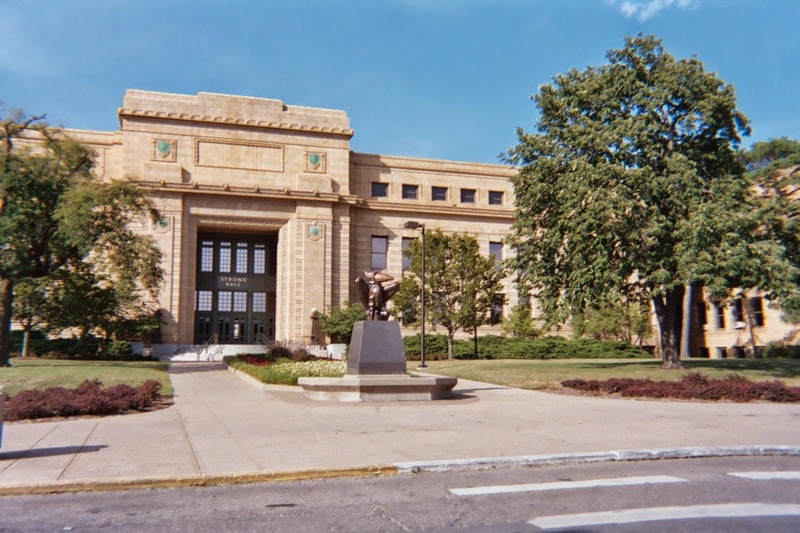 There is also a story from the University of Kansas (medical school is in Kansas City) on detecting tumor-associated molecules, perhaps related, here. That's where I went to graduate school myself in the 1960s (MA in Mathematics). I found a story "Mesothelin: An early detection biomarker for cancer", in Pharmaceutical Intelligence, authored by Tilda Barluiya, April 21, 2013 here. At my own physical today, my own physician said that the test would have to be approved by the FDA and licensed before trials on early treatment of pancreatic cancer based on positive tests would commence. The test may be useful for a limited list of other cancers. But the concept to test for other marker proteins for other tumors is likely to attract other researchers and companies. I believe Stanford is helping Jack continue the experiments as he enters there as a freshman. My own physician said on my physical this year that he was surprised the test wasn't available yet. But I think it takes several years for a test like this to get into regular use, even if the patent is approved. I know of an eye surgeon who has gotten FDA approval for his laser surgery to remove floaters (here in VA) but his machine isn't in general use yet. Here is another detailed blog post on Jack's book that Google offers. NatGeo offers "The War on Science"